Recently I stopped in at the new Amazon Book store on 34th Street in Manhattan to see how Amazon is re-imagining the in-store experience. 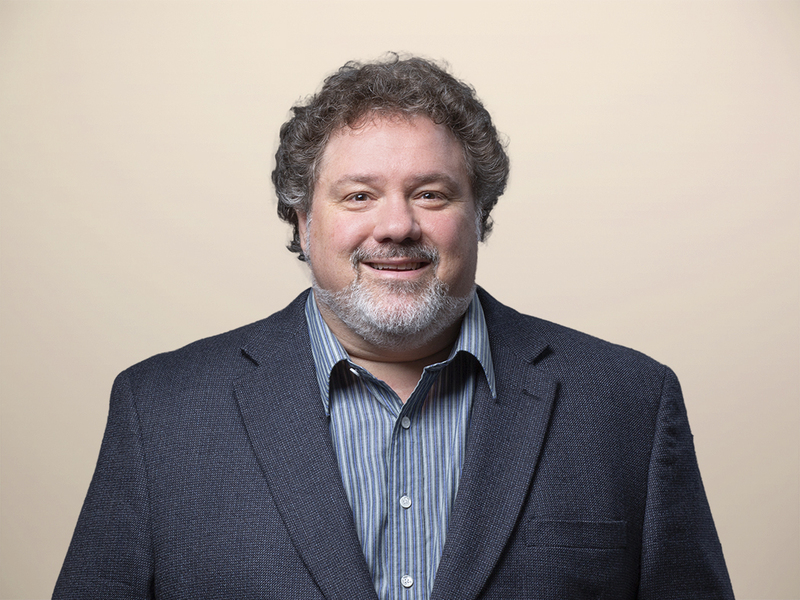 While Amazon has much to learn about retail from the brick and mortar giants, physical stores can learn a lot from how Amazon is successfully bringing the digital experience into the physical realm. Scannable tags on every item seamlessly integrate with the Amazon App. Once the customer scans a tag with the Amazon app, she gets the full Amazon digital experience – alongside the tactile experience of the physical store. Social data in the physical store. Shelf tags show “Star Ratings”, customer quotes and the number of reviews, information that has been mined from analytics data that Amazon has been collecting for years. 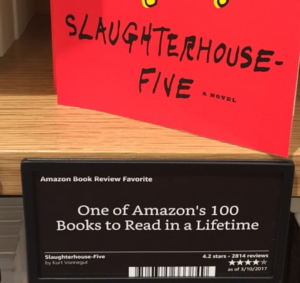 In the case of Vonnegut’s Slaughterhouse-Five, the tag contains Amazon’s own merchandising recommendation, “One of Amazon’s 100 Books to Read in a Lifetime”. Retailers, take note: 64% of smartphone users research their purchases in-store. Sellers that cede the in-store digital experience to Amazon are destined to lose sales to customers who are standing in their store aisles. Cashless checkout and pay with Amazon App. Paying with the app was seamless. I scanned a QR code at the register and then the store associated offered me an optional paper receipt. If I decide to return the book, the purchase record is now in my Amazon order history. The experience was far from perfect, most shelf tags do not have pricing information and require customers to scan the tag with their phones or take the item to a price check station. Customers without a Prime Membership will be dissatisfied paying list price while others receive discounts. Much of the store’s limited space is dedicated to driving Prime membership and getting more customers to adopt Alexa. The bottom line: This store is not about books – it’s Amazon’s experimental lab for blending digital and physical experiences with seamless cross-channel execution. Amazon has a lot to learn about running a physical store. The quirky independent bookseller that many customers still love has nothing to fear yet from Amazon’s entry into the physical realm. Meanwhile, we’ll be keeping an eye on how Amazon executes and continues to develop these concepts to shape the next generation of retail. For more about transforming the retail store read Ananda Chakravarty’s Report: How To Transform Your Retail Store.